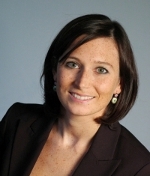 As a Lawyer at the bar in Paris, Anne Lemarchand provides legal advice and conducts litigation mainly in employment law. After a Franco-German university training, she started her career as an associate for a sole practitioner lawyer. Then she joined the law firm LMT Avocats, where her legal and language skills serve French and foreign clients, whom she advises and assists mainly in matters of restructuring and reorganisation, collective and individual work relations, company audits, etc. She joined 140 VH in March 2010. Her work languages are French, English and German.